The service department at Decarie Motors Jaguar in Montreal aims to provide you with personalized car care. 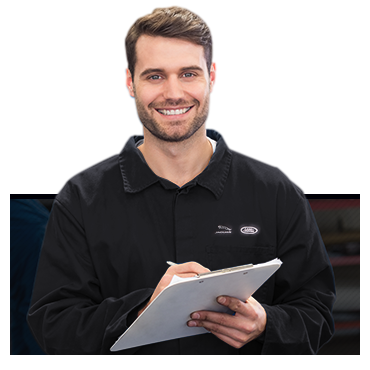 This means that a professional service advisor will help clarify your problem, make recommendations on the maintenance or repairs necessary, and keep your vehicle in great working condition for a long time to come. Our goal is to better serve you, our customers. Decarie Motors Jaguar also has a vast inventory of Jaguar Genuine Parts and Accessories, should you ever decide to personalize your vehicle’s appearance or boost its towing capability. All parts and accessories that we stock have been specifically designed for your Jaguar model, which means that you’ll be getting the best quality on the market. While waiting for your vehicle to finish being serviced, enjoy the use of our personal pick-up and delivery services. We’re pleased to provide all of our clients with alternative transportation while your vehicle undergoes maintenance or repairs. Options include a temporary replacement vehicle, luxury shuttle service, or valet service, which can be arranged at the time of booking. You may also enjoy our complimentary VIP services, such as the hospitality of our VIP lounge, browsing through our automotive accessories, or visiting our new-vehicle showroom. Call us and speak with a factory-trained team member, schedule an appointment through our online form, or visit us today!